Oakland, California-based Steve Forney is now in his 23rd year of providing quality illustrations for a variety of clients. Steve’s assignments range from editorial work to national advertising campaigns. From the initial concept to the final art, Steve brings passion to his craft. 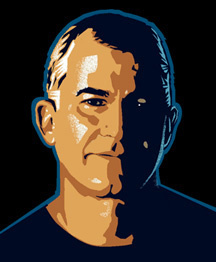 He enjoys collaborating with his clients and strives to create illustrations that exceed their expectations. Call Steve now: 510-653-4523. He’s ready to help you with your next project.